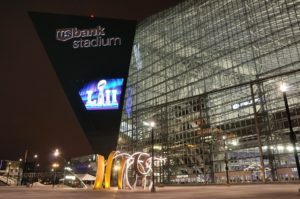 Super Bowl LIVE – a 10-day fan festival leading up to the big game – consisted of concerts and attractions within a one-mile radius in downtown Minneapolis. Naturally, extensive security measures were put in place to secure and protect the area as well as each individual event. Independent contractor Floyd Security assisted with security for a temporary zip line attraction that ran between the banks of the Mississippi with the use of their Mobile Pro Systems Commander 3400 Video Surveillance trailer. On another front and in order to accommodate the influx of cellular demand, Super Bowl LIVE sponsor Verizon utilized three Mobile Pro Systems “cellular on wheels” or C.O.W. towers. 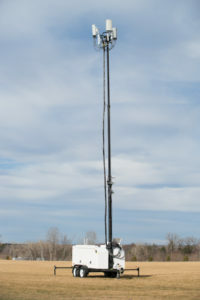 These towers boosted cellular capability and their unobtrusive design allowed for strategic positioning in the midst of high-traffic operations without fanfare. Super Bowl LII deployment of MPS equipment by both security and event personnel spotlights the versatility, practicality and value of our products. We would love to talk with you about how our products can best serve your needs –whether large or small. Please don’t hesitate to contact us!